Come join us for Summer Dance Camp at Amy Blake’s Academy of Dance. 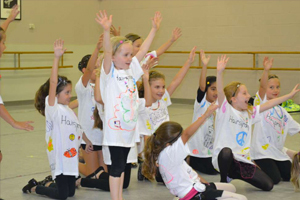 Students at Dance Camp enjoy classes in ballet, tap, jazz, and modern dance. The day also includes crafts and specialty classes such as dance history and theater make-up as well as rehearsal for the show to be presented to the parents on the last day of class. A minimal deposit will hold your spot. The remaining tuition is due no later than the first day of camp. Our schedule can be viewed online. Registration can be done online or call the studio at 281-482-0600 for additional information. Come and join the fun!